Tristi Pinkston is awesome. We have her to thank for this fun August blog hop today! Thanks, Tristi! I have three different books that you can choose from. You can read my review on this book here. This is a MG novel and you can read my review here. Which I have to admit I haven't read. I got it free somewhere and I really have no idea what it is even about. To enter you must be a follower of my blog. Please. :) US only this time on shipping. Next, leave me a comment letting me know which book you would like to win. You have to choose one. Make sure you leave your email address so I can contact you if you win. Thanks so much for stopping by! I love blog hops and I love meeting new people. If you are a new follower to my blog, let me know and leave your blog addy so I can return the follow. Blog Hop ends August 31st at midnight. Make sure you check out all the AWESOME blogs participating! 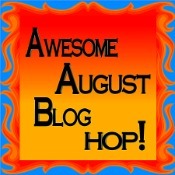 Learn more about Awesome August Blog Hop here. I would love to win School of Fear. 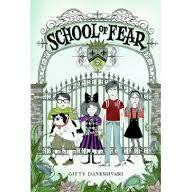 My seven-year-old and I enjoyed School of Fear and I think it's one she'd pick up again. I'd love to win Beautiful Darkness. :) I'm an old follower. Thanks for the giveaway. I would like School of Fear. I would like Beautiful Darkness. Great giveaway! I'm a new follower and would choose Beautiful Darkness. Thanks for the giveaway! I am a new GFC follower shirleytemple83 and I would love to win Indelible! Thank you so much!! I would be well pleased with any of the books. I'd love to read Beautiful Darkness! 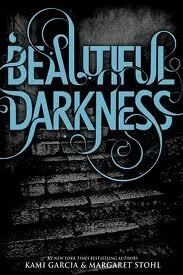 I would love to win Beautiful Darkness. School of Fear please. --Thanks for the chance! Thanks for the giveaway! I'm a follower and I'd love the chance to win Beautiful Darkness. Beautiful Darkness sounds terribly interesting, and if I don't win I might have to go track it down. Hi. I'm already a follower under the SayThisWrite logo. The School Of Fear book looks interesting. Come visit me at www.saythiswrite.blogspot.com. 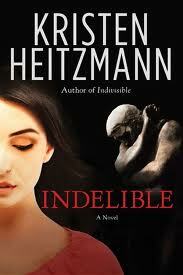 I just became a follower, and if I were to win your drawing, I would chose the first book, indelible. I'm a follower and I'd love to win School of Fear. My son loves that series.